Acid Washed Zen Pullover Hoodie screen printed with hand drawn pen and ink artwork. 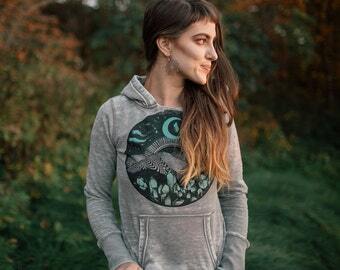 A stunning and sophisticated pullover hoodie with a cut open neck for added comfort. A must-have for all seasons, especially those music festivals that get a little chilly at light. The sleeves are extra long and the hood is deep. 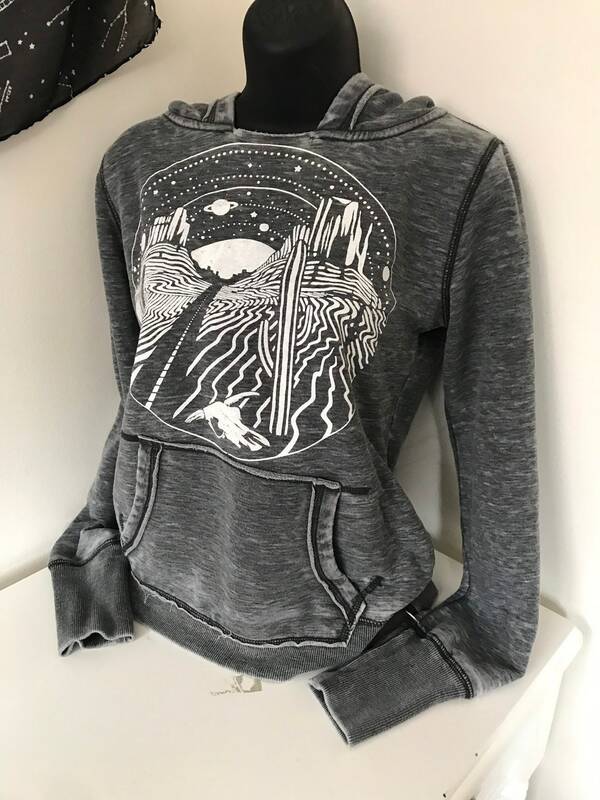 You will not want to take this amazingly soft hoodie off! Pullover styles run small – definitely size up for a looser fit.